John Knight was born in Yorkshire in 1763 but as a young man moved to the Manchester area. After serving his apprenticeship he became a handloom weaver in the village of Saddleworth. Knight developed a successful business but felt angry about his lack of political rights. 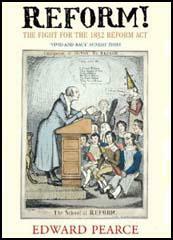 Strongly influenced by the ideas of Tom Paine, John Knight's views on parliamentary reform brought him to the attention of the local magistrates and in 1794 he was arrested and sent to prison for two years for making a seditious speech at Royton. John Knight, like most handloom weavers, found it difficult to compete with the new textile factories. In June 1812 John Knight organised a meeting for weavers at a public house in Manchester. As the meeting was coming to an end Joseph Nadin, Deputy Constable of Manchester, arrived and arrested Knight and thirty-seven other weavers. Knight was charged with "administering oaths to weavers pledging them to destroy steam looms" and they were accused of attending a seditious meeting. At their subsequent trial all thirty-eight were acquitted. Later that year Knight had to accept defeat and ceased work as a handloom weaver. Knight now became a schoolmaster in Oldham. He also became involved in journalism and in 1816 began editing the Manchester Political Register and secretary of the Manchester Constitutional Society. In 1812 Major John Cartwright founded Britain's first Hampden Club in London. Four years later, John Knight founded the first Hampden Club in Lancashire. In 1818 John Knight became co-ordinator of Lancashire's Hampden Clubs and was now known as the 'Cartwright of the North'. It was Knight's idea to ask Major John Cartwright to speak at the St. Peter's Field meeting on 16th August, 1819. Cartwright, who was seventy-nine at the time, was unable to attend, and Henry Orator Hunt, became the main speaker instead. At the meeting at St. Peter's Field on 16th August, John Knight led the Oldham contingent. It included two hundred women dressed in white and according to John Tyas, the Oldham banner's were "by far the most elegant displayed during the day. They were inscribed 'Major Cartwright's Bill, Annual Parliaments, Universal Suffrage, and Vote by Ballot'. Knight was on the platform during the meeting and was named by William Hulton as one of the four men to be arrested. Knight and the other men were charged with "assembling with unlawful banners at an unlawful meeting for the purpose of inciting discontent". Henry Orator Hunt was found guilty and received two years and six months, whereas Samuel Bamford, Joseph Johnson and Joseph Healey were each sentenced to one year in Lincoln Prison. John Knight was acquitted of the Peterloo charge but found guilty and received two years imprisonment for his attendance at a meeting in Burnley on November 15th 1819. After his release from prison John Knight concentrated on trade union activities. In 1830 he became an organiser for the National Spinners Union and three years later for the Ten Hour Association. Just before his death in 1838, John Knight was appointed to the salaried position as treasurer of the Oldham Poor Relief Fund. (1) James Wroe of the Manchester Observer described the attempted arrest of John Knight. The people in the crowd were so compact and stood to firm that they could not reach the hustings without halting. Few, if any of the meeting, even yet, supposed that this martial display was intended for anything more than securing Hunt, Johnson, Knight and Moorhouse, for whom they had warrants. Mr. Hunt was called upon to deliver himself up, which he offered to do to a Magistrate, but not to the Manchester Yeomanry Cavalry. A gentleman in the commission presented himself, and Mr. Hunt acknowledge his authority, and departed for the rendezvous of the Magistrates; where Mr. Johnson and Mr. Saxton were taken, and from thence conducted, along with Mr. Hunt to the New Bayley prison; Mr. Knight escaped, but was afterwards arrested at his own house and Mr. Moorhouse was soon after taken into custody at the Flying Horse Inn. (2) In his book Personal Recollections of Manchester, Archibald Prentice commented on Joseph Nadin's treatment of radicals. 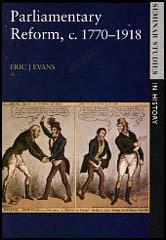 The radical movement had its origin in 1812, but had for a time been repressed, by the same unjust means which had been employed to put down the movement for reform and peace. Some working men, probably on the suggestion of the shrewd old John Knight, a manufacturer in a small way, thought it advisable that an opportunity should be afforded to the friends of peace and parliamentary reform to express their sentiments on those subjects, which they conceived to be the two measures most calculated to relieve their present sufferings. On 11th June, 1812, the men met at the Prince Regent's Arms. "On our arrival," says Knight, in a preface to the report of the subsequent trial, "we were shown into a room capable of accommodating forty or fifty people, and after waiting a considerable time, while the company assembled and got some refreshment, we proceeded to business, about a quarter before ten o'clock. I began by inquiring the residences and occupations of the individuals who composed the meeting, and then proceeded to read the petition that had been prepared. I afterwards made some observations on the deplorable circumstances of the labouring classes. I recommended frequent and general petitioning, which I endeavoured to enforce as the best method of obtaining relief. At eleven o'clock we began the financial part of our business, and Mr. Oldham had just laid £1 2s. on the table, which I was taking up, when Nadin entered, with a blunderbuss in his hands, followed by a great number of soldiers, with their guns and bayonets fixed. Nadin advancing to the table at which Washington and I sat, inquired for what purpose we were there assembled, on which Washington, handling him a copy of the resolutions, replied, that our object was peace and parliamentary reform. Nadin said, "I do not believe you; that is only a pretence." He then searched our persons, ordered our names, occupations, and residences to be put down, our hands to be tied, and ourselves to be taken to the New Bailey. I said he surely could not think of preventing us from going home. He showed no warrant, but said we should be examined immediately, as the magistrates were sitting." So firm, shrewd old John - not shrewd enough to fear that the legality and constitutionally of his meeting were any protection from the rough hands of Joseph Nadin - was marched off with his thirty-seven compatriots, a gallant guard of soldiers accompanying the manacled men to to the prison-house. The making and administering of the laws is exclusively enjoyed by the men of property, and, therefore, in the promotion of their own interests they are continually diminishing the rights of all the labouring classes. In all disputes between employers and workmen the magistrates almost invariably protect the employers. Such is the power opposed to the working class that until their influence does actively preponderate in the House of Commons, there is no possibility of their circumstances being bettered. The ministers of the government have granted the Queen an income of more than £1,000 a day while hundreds of thousands of her subjects were starving on 2d and 1d per day. I am not an admirer of the system upon which the Sunday schools were at present conducted. They were supported by the rich. And, in the end, what was the substance of the institution? Why, they were taught to toil as hard as they could and to live upon as little as they could - the doctrine of passive obedience and submission to those who possessed wealth and power. In a word, instead of teaching the poor, or endeavouring to excite a free and independent spirit among them, the conductors of these schools might be considered as preparing children for slavery and degradation.